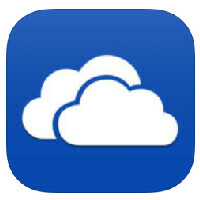 Microsoft's cloud storage system OneDrive has updated its app for iOS to version 6.13.1. With the update, users can now save multiple photos and videos from their camera roll, using one click. Select the files that you want to store in the cloud, tap share, and you will be given the option to "Save Photos and Videos." The update also exterminated a bug that played havoc with the VoiceOver and album features. Microsoft also points out that if you're having sync issues, or any issues with the app, all you need to do is shake your phone and a request will be sent to Microsoft engineers to investigate the problem(s). OneDrive is a freemium app, which means that it is free to download and install, but there are optional in-app purchases you can make to enhance the OneDrive experience on your iPhone or iPad. For example, you can purchase 100GB of cloud storage for $27.99. To install OneDrive for iOS on your iDevice, click on the sourcelink.